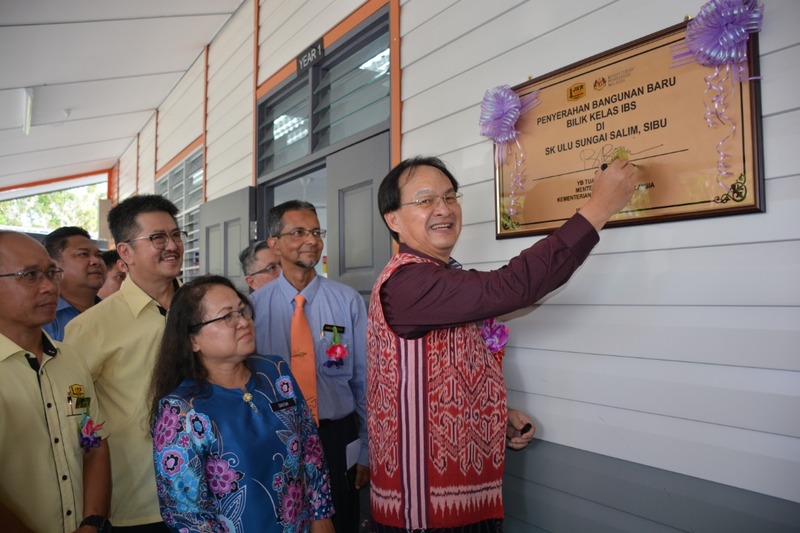 SIBU: A total of 48 dilapidated schools in Sarawak have been rebuilt using Industrialised Building System (IBS), while another two will be completed towards the middle of this month, said Works Minister Baru Bian. He pointed out that rebuilding of dilapidated schools in the state, which is implemented by Public Works Department (JKR) Malaysia, involved 50 schools with the total project cost of RM138,458,260. In Sabah, the implementation by JKR Malaysia involved 37 dilapidated schools with total project cost of RM163,441,400. Elaborating, he said: “In Sarawak, the scope of phase one of the project involved building 50 (dilapidated) schools using 13 packages and 13 contractors. Turning to Sabah, he said the project scope for phase one, involved building of 37 (dilapidated) schools with 12 packages and 12 contractors. The overall project scope comprised 277 classrooms, 37 science rooms and 42 toilet blocks. The Selangau MP and Ba’Kelalan assemblyman was speaking during his visit to SK Ulu Sungai Salim here today. He said that for SK Ulu Sungai Salim, the project (two classroom blocks) was completed on June 27, 2018 and handing over of project to the state Education Department was done on July 31, 2018. He hoped that more contractors would emulate Cekaplex Sdn Bhd to build dilapidated schools within the stipulated timeframe. Baru also noted of some requests made the school headmistress Dayun Jackson Bunsie on inadequacy of school buildings, who highlighted the need for administration and science blocks, library room and multi-purpose hall.